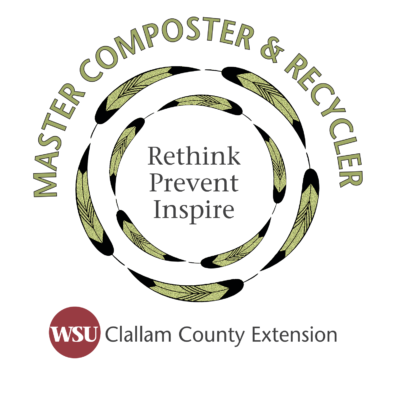 Master Composters + Recyclers are volunteer waste prevention specialists who are trained in partnership with WSU-Extension and Clallam County Department of Public Works. The program highlights critical waste prevention activities with local solutions working with our local haulers, governments and organizations to create best practices and educate community members. Share your perspective on how our community can rethink and prevent waste! This is a free, one day workshop, investigating waste in our society and how to prevent it. Recycling Right: Clean, Empty, Dry!